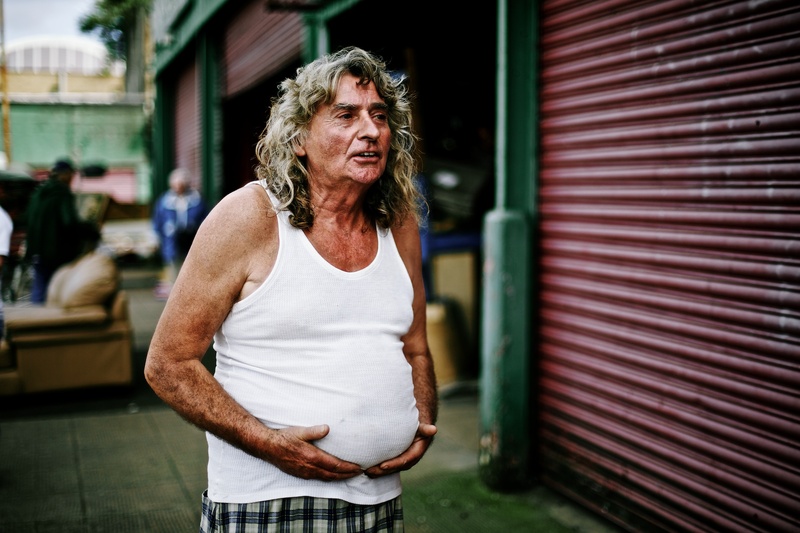 Shooting at The Barras yesterday reminded me of my love for Glasgow, particularly the funny patter with the Weegies. We attracted a lot of attention while shooting a beautiful model in Carolyn’s dresses, surrounded predominantly by male market traders. I’ll be uploading those photos later in the week, but for now I just wanted to demonstrate what a typical Glaswegian is like. Yep. I loved going to the Barras when I used to go to Glasgow, some cool little stalls/shops and some ace bars nearby. I love this man!!! Great pic Ashley!! !